Some may think 13 is unlucky, but if the reason you can’t lose weight is here then you might change your mind! It may not be your problem, but having too much sleep is just as bad as too little when it comes to gain weight. Over 9 and under 5 hours equally will affect the way your body makes the hormones that control your appetite and so your wight. Whether you are at a desk all day, or sitting watching TV too much at night then that will make losing weight harder. When you sit most of the time, your body can lose its ability to know when you’ve eaten too much and that means you can overeat and gain weight. Even brief exercise breaks during the day can help you stay healthy. Just three 10-minute walks around meetings or walking in place while watching TV really can make a difference. Water is your cheapest health aid in many ways but drinking several large glasses of water a day can help you lose extra pounds. Water has no calories at all, so it satisfies your thirst without adding weight, and if you cut down on soft drinks and juices you will be reducing your sugar load and that definitely helps you lose weight. We all like to eat out as a treat, and if you don’t like cooking then it can get to be too much of a regular habit. Whether it’s a fancy restaurant, a fast food place, or the local pub you will almost certainly be taking in more calories than you need whether that is at lunch or dinner. At home you can keep an eye on the calories as even those ‘light dishes’ on the menu can have added salt and sugar to pile on the pounds. We all know that we need to exercise, but if it is not something you enjoy then there can be a tendency to treat yourself afterwards. Even something that seems healthy such as a smoothie can have plenty of calories, as can those high-sugar sports drinks and protein bars, too. While they can help quench your thirst or give you an energy boost post-workout, they can be very high in calories. Whatever the reason, when you space out your meals too much, your metabolism slows down and isn’t able to burn off all the calories you eat in your next meal. Those extra calories may wind up as extra weight. And you may overeat because you’re too hungry. Try eating smaller portions, and eat more often. Whether you like wine, beer, or mixed drinks, alcohol has calories that add to your daily amount. If you often have 3 or more drinks a day, you’re more likely to gain weight or be overweight, no matter what type of alcohol you drink. Stick to light or moderate drinking, like one glass and if the issue is actually thirst then go for water with a dash of fruit juice or carbonated water with slices of lemon. Stress makes us act differently however well balanced we are generally around food. If you feel tense, you’re more likely to reach for unhealthy, high-calorie treats for a quick comfort fix and eat when you don’t really need food at all. It’s worth your time to plan out your meals and healthy snacks so you’re not tempted to grab something when you are rushed, or late. Even if you get enough activity, you can gain an extra pound or two if you tend to eat fast food or sugary snacks or soft drinks. Your body doesn’t seem to treat these calories the same as energy you get from healthy foods as it breaks them down too quickly. They’re also generally low in fibre, so you don’t feel full afterward and you’re likely to eat or drink more. If you have an underachieve thyroid that is very much associated with weight gain and you could gain as much as 5 to 10 extra pounds. Your thyroid makes hormones that control your energy level and how your body breaks down food. If you don’t make enough of them, it can be hard to shed pounds. You may also feel bloated because if your thyroid is sluggish your body holds on to too much water and salt. 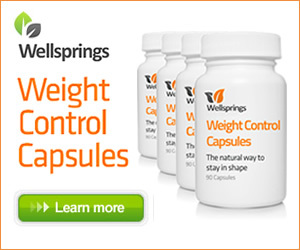 Some drugs can make you gain weight, particularly the synthetic hormone products such as the Pill/Coil/HRT. If you have steroids for a condition then they can change your metabolism and make you feel hungrier so you may overeat and gain extra stomach fat. Even antihistamines that calm your hay fever could cause weight gain. They lower a chemical your body makes to control your appetite, so you may sneeze less but eat more. If you’re like most women, you may find your weight creeps up during menopause. Changes in your hormones, less muscle mass, and too little sleep from hot flushes can all lead to added pounds. This can occur at any age with conditions such as PMS and after a hysterectomy, and certainly during menopause. Women are designed so that our essential female hormones, oestrogen and progesterone, are in balance. When this is disturbed then many hormonal symptoms can occur from weight gain to anxiety and hot flushes to problems sleeping. You may be low in progesterone (oestrogen dominance) or low in both hormones so always check to achieve the right balance.